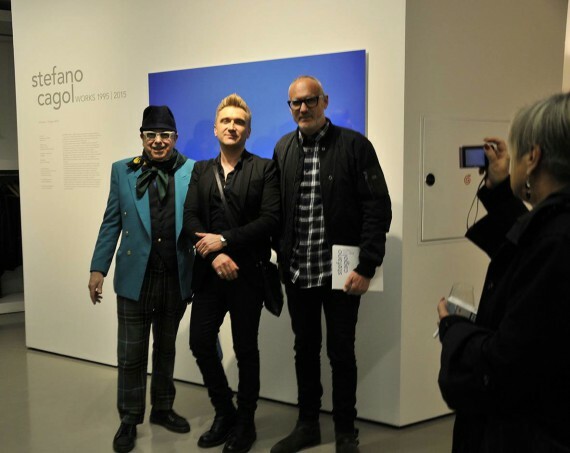 Trento celebrated the full circle return of its native son, Stefano Cagol, with a mid-career retrospective at Galleria Civica MART after igniting Europe’s Kundalini with The Body of Energy. Galleria Civica di Trento is located in the historic core of the Council of Trent. 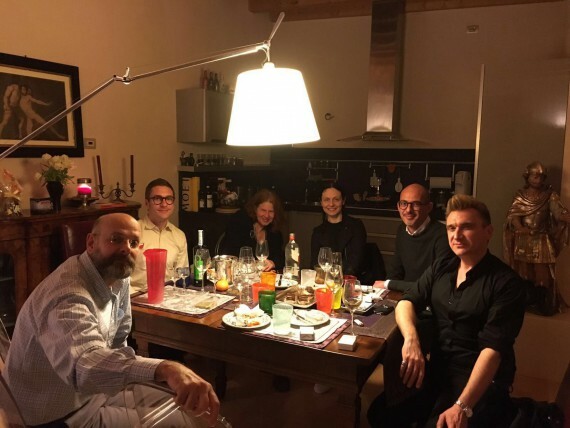 From left to right: Mart Director Gianfranco Maraniello, Culture Councillor for the municipality of Trento Andrea Robol, curator Margherita de Pilati, artist Stefano Cagol and curator Denis Isaia. From left to right: Collector Giancarlo Longo, Stefano Cagol and Giacomo Nicolodi, ‎Global VIP PR Manager for Diesel. Stefano Cagol at a favorite spot across from Galleria Civica di Trento on the via Belenzani with catologue editor Mariella Rossi (left) and Margherita de Pilati, who co-curated the exhibition with Denis Isaia. 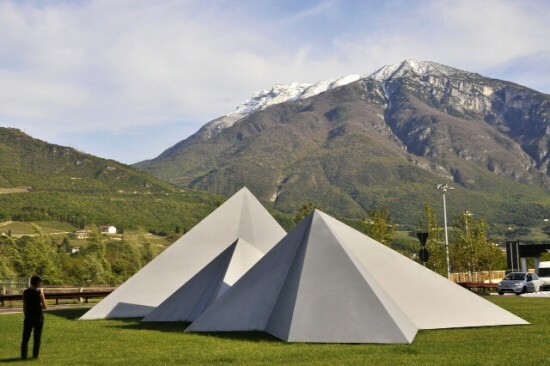 It turned into a spring celebration of renewal for Italian contemporary art originating in the alpine city that historically united the secular and religious with its succession of bishop princes. Neptune with his Trident in the central piazza is the symbol of Trento. Cagol’s “Tridentum” (Tri-dentum=tri-denti=three teeth) public commission is pyramid triad reflecting the three mountains which gives the city its name. The sculpture is located in a key city roundabout which presaged his return to both the city and gallery which gave him his first exhibition in 1995. See the opening here. The rebirth taking place here is the paradigm shift. 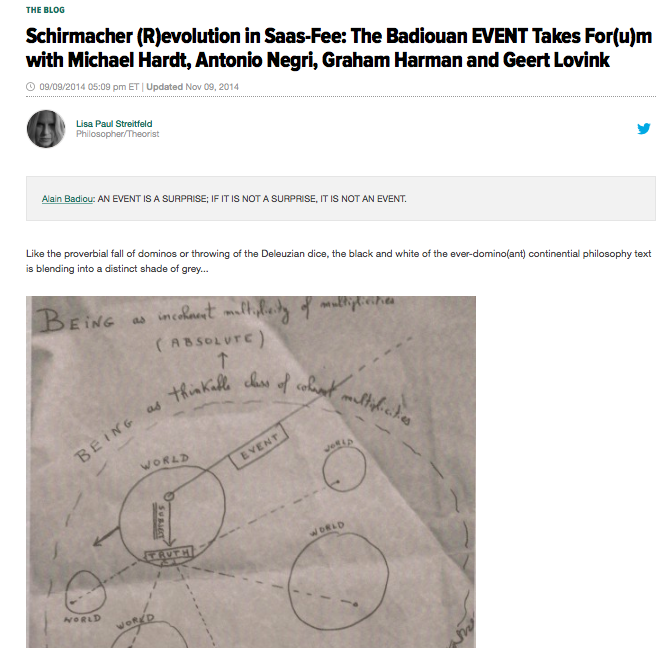 This means the determinist dualism of linear time transmutes into the Third, the magic of Kairos. And there is a good deal of magic in the oeuvre of Trento’s native son. 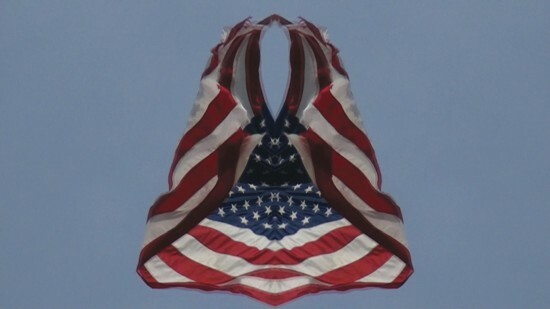 “Stars and Stripes” (2005) is Cagol’s most realized video arising from his experiments with an optical language of the Third as the transmutation of dualism. 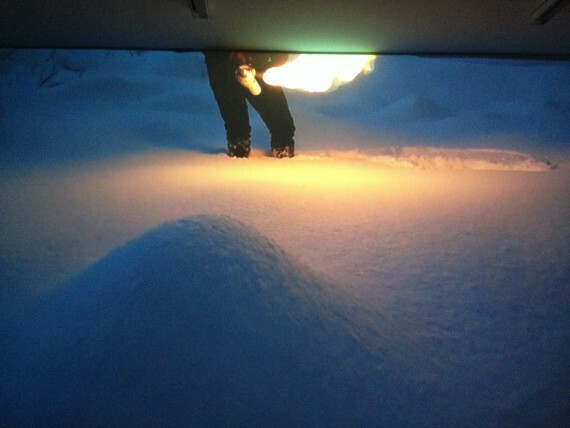 Stefano Cagol’s studio in the nearby village of Revò has recently become a stop for the tour bus. Under a portentous 2016 eclipse cycle culminating with Easter, the paradigm shift evident in the U.S. Election cycle was on view in the two decades of Stefano Cagol’s journey to transform dualism through the alchemical reaction of his materials. 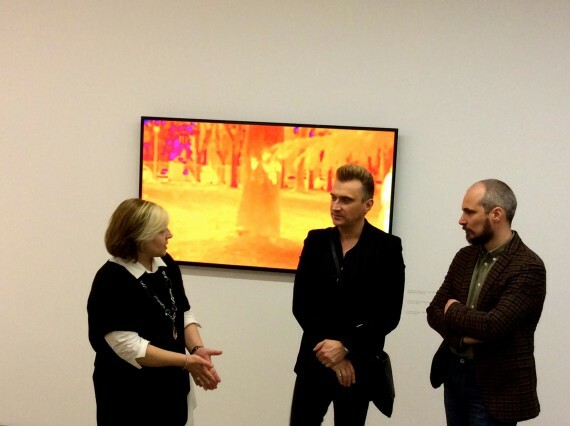 Cagol discussing “The Body of Energy” with the Civica curators in a press preview. 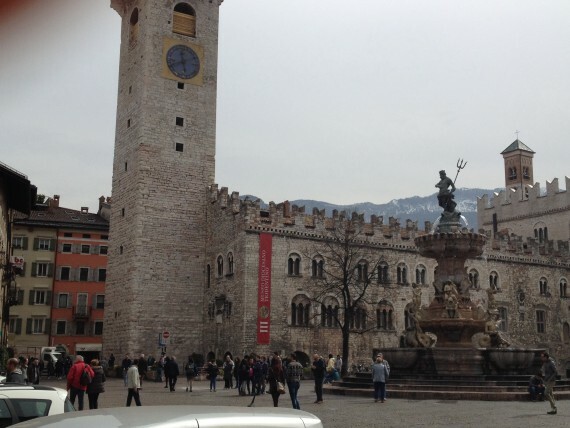 …and a cause for celebration in the magnifici palazzi of Trento. 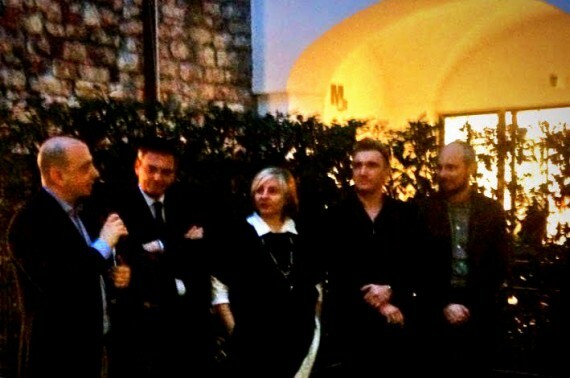 Inside Trento’s oldest palazzo with Cagol’s collectors and the critic Mariella Rossi. 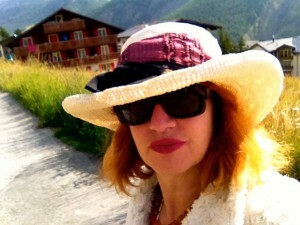 (Photo c. Alessia de Abbondi). 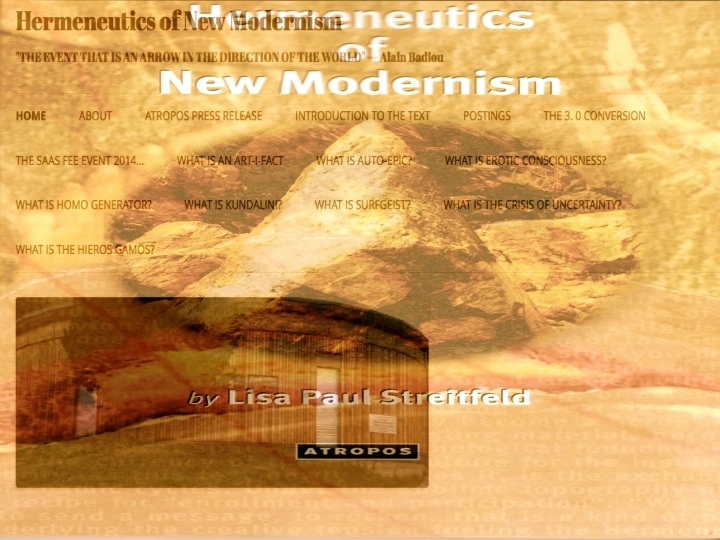 Lisa Paul Streitfeld is a philospher and critic based in Berlin who traveled the globe in search of artist’s evoking the new paradigm in their materials. All photos by LPS unless otherwise stated. All photos used with permisson of the artist. 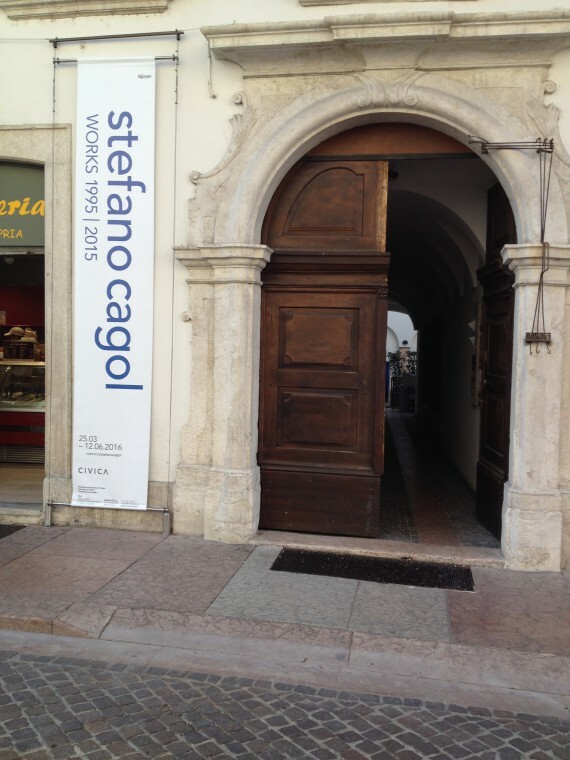 This entry was posted in ART REVIEW and tagged Body of Energy, Civica MART, Council of Trent, Stefano Cagol, Trento on April 14, 2016 by Dr. Shiva Lisa Paul.